#1 Rated Carpet Cleaner In Madison WI! We are a family owned and operated carpet cleaning and restoration business. We have been serving Madison and all of Dane County since 1991. 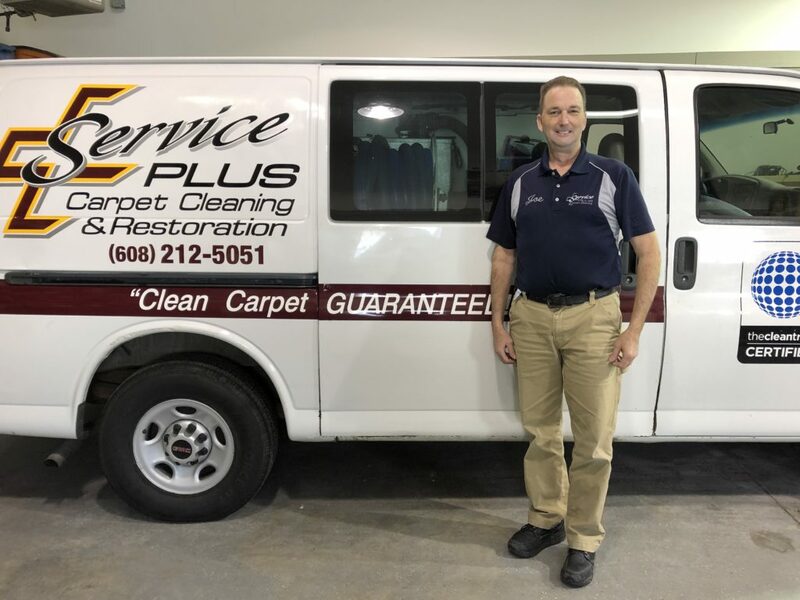 At Service Plus Carpet Cleaning we offer affordable, friendly, and professional services in the local Madison, Wisconsin area. As the best carpet cleaning Madison company in the area, we respect our customers and ensure that they are fully satisfied with our service before we leave. With years of experience in carpet cleaning, our professionals will have your carpets looking as good as new and give you tips on how to maintain your carpet. Quality, efficiency and reliability are some of the three values that we strive to maintain every day. 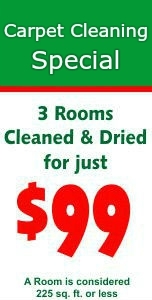 Give us a call today and we will be there as soon as we can to make your dirty carpets a thing of the past. We believe in reliable, honest and excellent services for a reasonable price. We care about the community that we serve and the environment around us. As a professional company, expect our technicians to be in uniforms when they arrive. It’s our duty to clean and leave no dirt whenever we go. We want to show our dedication and commitment to our work to our clients and prove that we are the right people to attend to their cleaning problems. Our pricing is the best around and always includes each of our premium services including pre-spotting, vacuuming, per-conditioning, sanitizing and deep restorative. We love our work, and we always ensure that we make our clients happy whenever we are called upon. We have served countless homes in the Madison area, and our reputation is well known. Make a call today or schedule an appointment online today to learn how we can help make your carpets shine! There is a perception that carpets are hard to keep clean and sanitary, and therefore contribute to increased indoor environment deterioration. This misconception has led to the removal of carpets in some homes, public agencies, schools and healthcare facilities. Ineffective carpet cleaning deprives consumers and occupants the desirable features a carpet provides. Apart from improving the appearance of a home or office and extending the life of a rug, professional carpet cleaning has many valuable health benefits. Carpet cleaning is not only done for the visual effects, it is also an investment in the wellness and health for those who reside there. Here are top three reasons you should hire a professional carpet cleaning company. According to the Environmental Protection Agency, dirty carpets retain sources of indoor pollutants, such as allergens, pet dander, particle pollution, dirt, and dust. Toxic gasses also adhere to these particles and get trapped in the carpet. When you vacuum or walk over the carpet, these toxic gasses are released, contaminating the air in your home. Our carpet cleaning professionals can use special shampooing formulas to kill these bacteria, and high-powered vacuums to eliminate deeply trapped pollutants. Vacuuming can only remove contaminants from the carpet surface. It is when these contaminants penetrate deep into the carpet, however, that breathing becomes difficult. People suffering from allergies and asthma can find breathing easier after their carpets have been cleaned by professionals. The risk of allergen-induced attacks can be lowered by improved indoor air quality. In areas of high humidity where carpets are exposed to moisture, for example, rain or snow tracked indoors during extreme weather, the risk of mold growing in the dirty carpets is high. This moisture sinks into the carpets if not dried or vacuumed immediately. Ensuring carpets are cleaned regularly by professionals can help to prevent the growth of mold and mildew. The high-powered drying tools used by our cleaning professionals can help to annihilate the moisture. Having your carpets professionally cleaned, at least two times a year, can have dramatic effects on your house and health. Professional carpet cleaners not only offer the best cleaning services but also are dedicated to providing the highest level of customer service, integrity and cleaning methods. One of the best architectural components in a home is the stone, tile or ceramic in the bathrooms, kitchen and doorways. 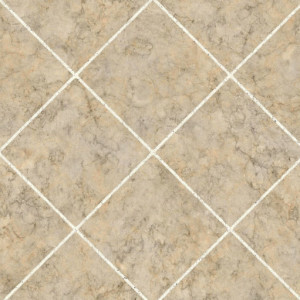 You cannot go wrong with tile as, besides the facts that they make a home look beautiful, they are also very durable. Unfortunately, they are not immune to the unhealthy elements such as dirt and bacteria around the home. With time, dirt builds up in the porous surface of the stone, grout flooring and the tiles turning into a breeding ground for disease-causing bacteria. Regular mopping and sweeping is helpful but it does not deliver deep cleaning. Some people take this matter into their own hands and use a toothbrush to scrub between the tiles. This is a time consuming and back breaking chore and it does not yield the best results. At Service Plus Carpet Cleaning, we are more than carpet cleaners. Just like our unmatched carpet cleaning services, we offer the best grout cleaning services that lead to reduced bacteria and dirt leaving the surfaces of your home sparkling clean and safe for your pets and family. Service Plus Carpets grout cleaning service penetrates deep inside the porous surface removing all the bacteria, sealing out dirt and eliminating grime. This restores the appearance of your floors while also extending the life of the tiles and stone. We use powerful deep-cleaning extraction equipment and specialized cleaning solutions to remove all the dirt build up making a home healthier and cleaner for both family and pets. Stone and tiles are a beautiful addition to homes but keeping them clean is quite a challenge. Let us do this hard work for you and help you maintain the beauty of your home as well as safeguard the health of the whole family with our top notch grout cleaning services. In addition to carpet cleaning we also offer our customers the best tile cleaning services in Madison. Our company has been in operation for many years which has enabled our professionals to develop enough experience to conquer any mess they come across. We pride ourselves on always using the safest and most appropriate cleaning methods. We accomplish this by first thoroughly assessing the state of your tiles and then selecting the method that suits your situation best. Since we started offering the services, we have been able to satisfy many customers in the area. You will be hooked on our service after you see what your tiles look like after a treatment. All the detergents which we use are safe, so you can be assured of a safe floor for your children and pets to walk and play on. The methods we use to clean tiles are guaranteed to make your tile shine like brand new, and this is proven by our extremely high customer satisfaction rate. If you have an emergency where you need the tiles to be cleaned within the shortest time possible or are on a tight time frame, give us a call. We will try our best to arrive to serve you as fast as we possibly can. 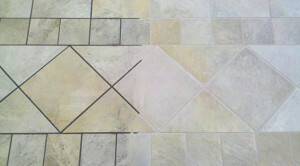 We offer our tile cleaning services at extremely fair rates. We take into consideration factors such as the area of your home and the nature of stains which have developed on your tiles before we decide on a certain price and always consult the customer before we begin service. We are a company which is dedicated to offering our customers the best services at the most reasonable rates. Don't wait! Call us today and we will have your tile shining like it is brand new! Our carpet steam cleaning solutions are by far the most popular methods for cleaning both residential and commercial carpets. These are highly useful, especially in large spaces such as offices, restaurants, and hotels. Companies prefer a thorough carpet steam cleaning service instead of a standard carpet cleaning solution because steam cleaners are known to protect the carpets and improve their aspect. 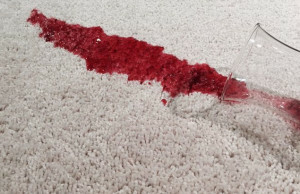 Carpets can be extremely difficult to maintain. Since a carpet or rug is walked on hundreds, even thousands of times a day, cleaning them is often a challenge. Knowing that stains and soiled shoes are inevitable at any busy office, restaurant, hotel or any other commercial venue, vacuuming is not an option anymore. 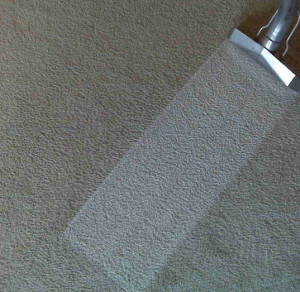 Carpet steam cleaning comes as a great alternative to vacuuming. Even the most advanced vacuum cleaners can’t remove most of the dirt, stains or dust mites. On the other hand, steam cleaners are specially made to remove molds, stains, dirt or even those tiny dust mites. Steam cleaners are effectively sanitized so that they can deodorize the carpets. This will have your carpet looking brand new once again and smelling great. Although this process involves the keywords: “steam” and “cleaning”, it does not really involve the use of actual steam. Instead, this simple carpet cleaning technique involves the use of hot water together with a powerful suction method. This is a very efficient combination that has been found to loosen up the dirt, debris, dust and any other stains from rugs and carpets. The steam appears once the hot water goes through the device. This whole process is extremely effective from a time-saving standpoint, since the rugs and carpets are cleaned and dried at the same time. To top it all, steam cleaners will not only remove dirt and stains but will also deal with allergens. Most ordinary vacuum cleaners are unable to do that. Call us today and learn more about our steam cleaning solutions for your home or business! Each and every client is important to us! Service PLUS Carpet Cleaning & Restoration, Inc. understands that every successful business is built on customer satisfaction. Our professional approach and highly qualified cleaning staff has enabled us to create a loyal customer base. Service PLUS uses an 11 step carpet cleaning process. Thanks to our unique cleaning process you can trust Service PLUS to care for your carpets and for the health of your family. Service PLUS uses an environmentally friendly pine based pre-spray which is both safe and non-toxic. It is safe for children, pets and allergy sensitive people.